Saturday had produced a bit of a 'fall' of birds along the east coast, nothing spectacular, but good numbers of common migrants and several Yellow broweds. The conditions on Sunday were never going to produce a 'classic' Spurn day but there is always the chance that something will turn up. 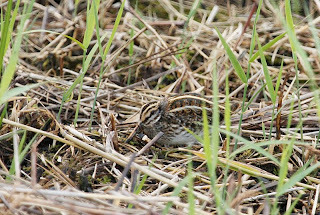 So when Julian Allen invited me to join him and Tom for a day at Spurn I jumped at the chance. Our first stop was at Sammy's point, there were a good numbers of other birders milling about and it was soon apparent that there wasnt much about. We searched the bushes and paddocks ourselves but only came up with Wheatear and Stonechat, but there was a continual movement of Redwings overhead. We didnt fare any better around the Crown and Anchor, a few Swallows passed overhead but the area was very quiet. At the Warren we waited patiently for the long staying Barred warbler which eventually did put in a typically brief appearance. Time was moving on and it was obvious there had been a 'clear out' and any birds that may have come in were staying down in the strengthening wind. 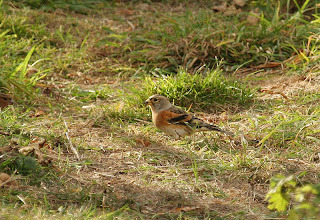 We tried our luck at the point but again there wasnt much doing but a single Brambling was nice to see. The track down to the point had deteriorated alot since my last visit and with the sunny Sunday visitors as well as birders Julian negotiated the demands of the single track with the skill of a Swedish Rally driver. 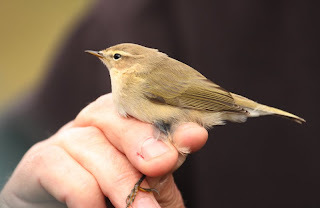 Back at the Warren we were fortunate to see a Siberian Chiffchaff in the hand and then released. Two things struck me about the bird. The amount of green in the wings, particularly in the secondaries and the almost white supercilium. We continued our Quest, a rumour that there was a Yellow browed warbler on Beacon Lane had us looking again at the bushes but without any real conviction. 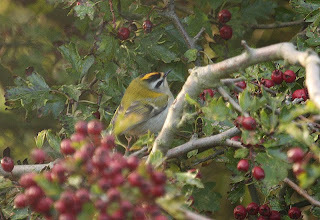 Further information about a Firecrest at the southern end of the Triangle sounded more hopeful and it wasnt long before we found the bird. 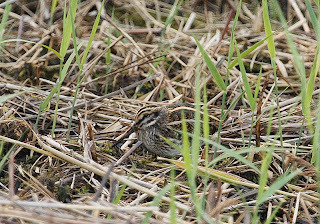 A look in the hide produced good views of a Jack Snipe to round off the day. So far from spectacular but a very enjoyable days birding. 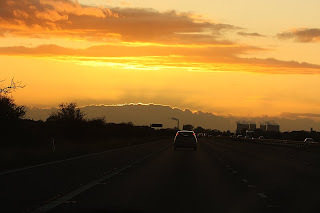 I was forced to partake of the obligatory BurgerKing on the way home, but a small price to pay for a grand day out. Cheers lads.